In a mixing bowl take pizza sauce and then add onion, capsicum, sweet corn, pineapple, paneer, olives and some of the chilli flacks and pizza seasoning. Mix well. 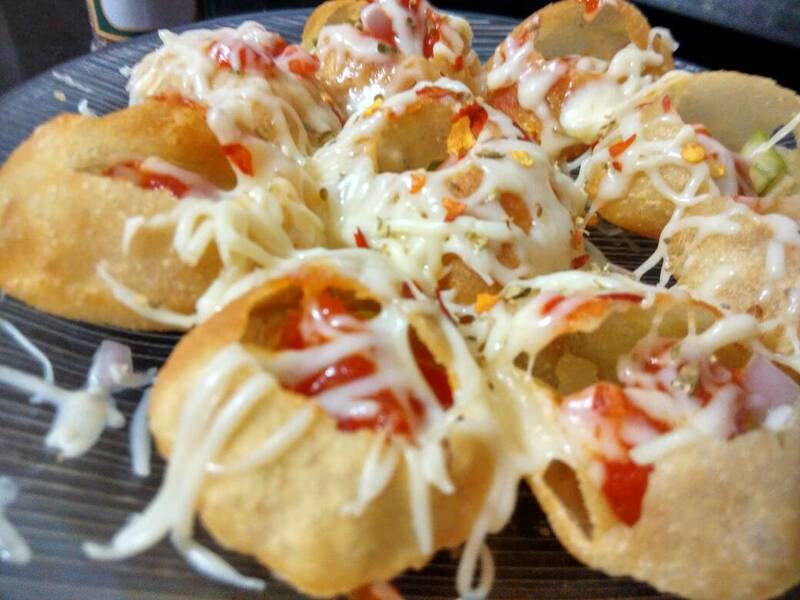 Arrange puries in serving plate, make a small hole in centre and then above mixture into puri. Sprinkle some pizza seasoning and chilli flacks. 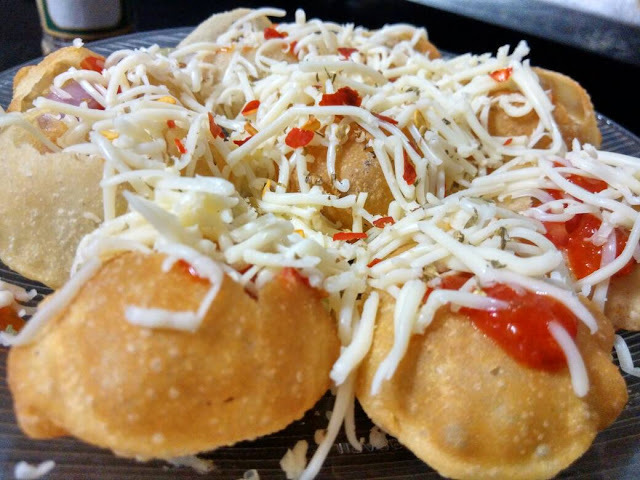 That's it our super delicious Pizza Puri - Golgappa with Pizza Filling is ready to serve. For yummy melted cheese place the serving plate in microwave and micro for 30 to 40 seconds or till cheese melts.